The city of Santa Clarita is proud to recognize National Volunteer Week from April 7-13, and salute the total of 5,478 volunteers who gave 51,154 hours to the city in 2018 alone, valued at an estimated $1.5 million. Santa Clarita is fortunate to have so many community members who are dedicated to supporting and improving the city. 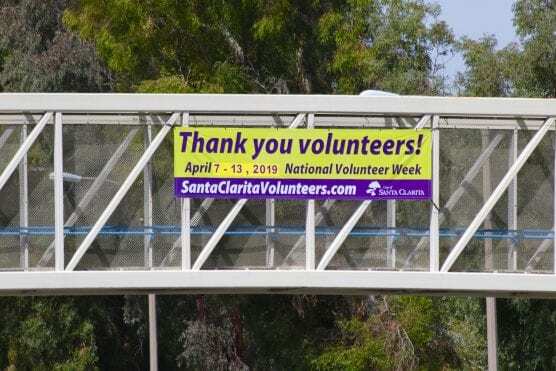 From the annual River Rally and Cowboy Festival to beautification projects and swim meets, Santa Clarita has a regular need for volunteers to make events, programs and projects a success. The city would like to offer its sincere praise and thanks to all of our volunteers. here are many upcoming events and programs where regular volunteers, and residents who would like to begin volunteering, can contribute as a part of the team. Earth Arbor Day, the Splash-and-Dash Egg Hunt, Eggstravaganza, Amgen Tour of California and Tween Clean-Up Days at the libraries are just a few.